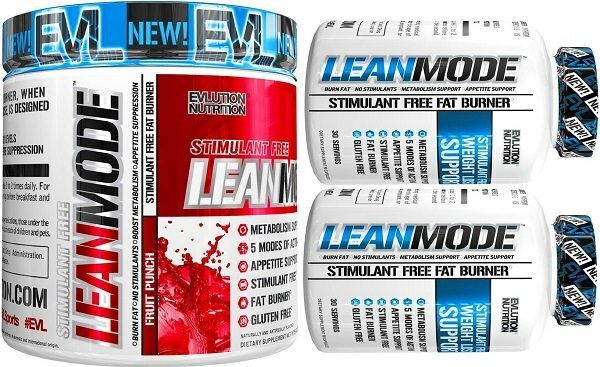 EVL Trans4orm and its stim-free companion Lean Mode are exceptionally popular right now with cutting season right around the corner. Luckily for you, we’ve already taken them both so that you can get the full low-down on these two fat burners before you buy. 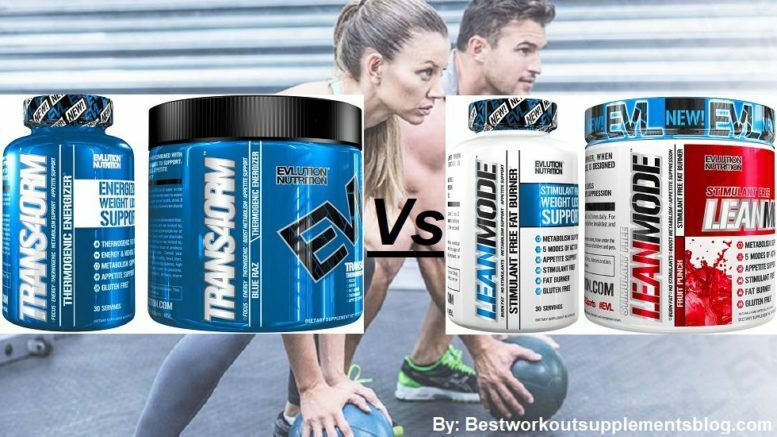 On this review we’re going to share with you our experience taking Trans4orm and Lean Mode, plus a cross comparison to their powdered versions (which include different formulas). 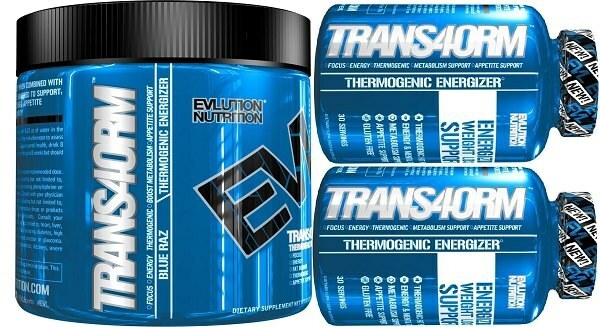 Trans4orm by Evlution Nutrition is an energy based fat burner that brings a bit of new and a bit of old to the table. While taking it, we had good amounts of energy without crash, backed up by a reasonable 175 mg of caffeine. The caffeine wasn’t overkill – 175 mg natural caffeine is a good crash-free sweet spot. Lots of choline for focus – contains both choline bitartrate and A-GPC. Reasonably inexpensive – current promos provide 60 caps for about $20. Under-dosed forskolin – a solid dose is upwards of 200 mg. Formula change – the previous Trans4orm formula with synephrine and theacrine was better. 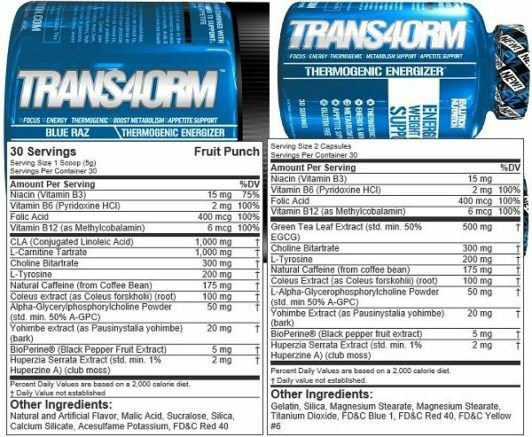 There are a few clear differences between what ingredients you are getting with Trans4orm versus what you get with Trans4orm powder. Price wise, each are the exact same cost per serving. So: if it’s convenient for you to take the powdered version of Trans4orm, you’ll get more value out of it. Compared to Trans4orm, Lean Mode is totally different. For starters, you’re not going to find any caffeine or other stimulants in Lean Mode. That means, no energy rush. Second off, since there are no stimulants, you can consider stacking it with a second fat burner that does contain stimulants…. Hence why Evlution Nutrition sells double-packs. 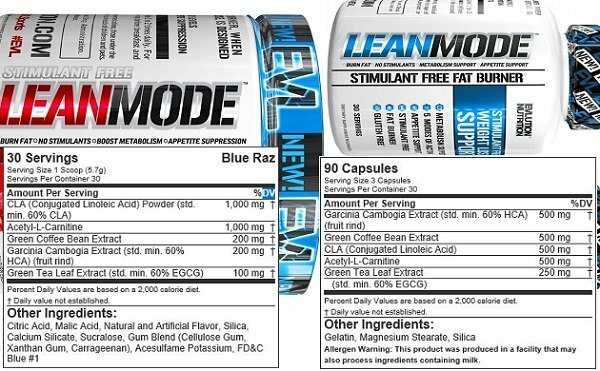 Like with Trans4orm, you’re going to get a bigger kick out of the powdered version of Lean Mode. From our perspective, they reduced the ‘not-so-good-tasting’ ingredients and packed in a few that don’t taste bad. Net positive or negative? Hard to tell. Regardless of which Evlution Nutrition fat burner seems most interesting to you, it’s quite clear to us that they were designed to be taken together. So basically, you combine two $20 products to make one $40 good one. This is the general trend with a lot of Evlution Nutrition products like their pre workout ENGN and vast lineup of different BCAA supplements. Trans4orm is admirable and Lean Mode is a great fat burner accessory to add to your workout and diet routine, but neither are magic pills. The stimulants in each can up your caloric burn. But, not massively. So make sure you stick to your diet plan. But if you want something gentle to take that will increase your energy and allow you to burn a few more calories a day – this is a winner. Plus the price isn’t bad at all either. In general, we are not big fans of Evolution Nutrition products. But, Trans4orm is definitely one of their better products. When you consider price, and the fact that it doesn’t crack you out – it beats out 80% of the competition.